This Bloomberg piece suggesting, improbably, Trump’s legal team will some day catch up to match the quality of Robert Mueller’s team, describes Trump’s lawyers — especially John Dowd — coordinating with lawyers for other witnesses in the inquiry, including those of Paul Manafort and Mike Flynn. For the moment, Trump’s personal lawyers are focused on coordinating with lawyers for the Trump campaign and the Trump Organization, as well as for individuals involved in the investigation such as Paul Manafort and Michael Flynn. Dowd also spends time communicating with Mueller—the two have known each other for years, says the person familiar with Trump’s legal strategy. It also confirms that Dowd has been chatting regularly with Mueller, though doesn’t reveal — as the USA Today did — that those chats include passing on messages from the President. Trump’s legal team has been in contact with Mueller’s office, and Dowd says he has passed along the president’s messages expressing “appreciation and greetings’’ to the special counsel. “The president has sent messages back and forth,’’ Dowd said, declining to elaborate further. All of which is useful background for this Fox News piece, which quotes from a letter Dowd sent to a WSJ reporter, complaining about the raid on Paul Manafort. Dowd’s chief concern is that Mueller allegedly didn’t exhaust other methods to obtain the materials seized in the raid. The email reflects Trump’s legal team moving to protect the president, amid speculation that the raid could be part of a broader effort to squeeze Manafort for information on Trump. Dowd, in his note, questioned the validity of the search warrant itself, calling it an “extraordinary invasion of privacy.” Dowd said Manafort already was looking to cooperate with congressional committees and said the special counsel never requested the materials from Manafort. Even assuming what Dowd claims is true (though given the reports that FBI seized financial records not known to have been requested by Congress, that’s doubtful), what does it say that Dowd knows so much about this raid and Manafort’s efforts to comply with all requests? What does it say that Fox presents Dowd’s email as “Trump’s legal team moving to protect the president”? But I am interested in this tidbit, claiming that the FBI seized materials Manafort was using to cooperate with Congressional investigators (and his testimony the day before and day of the raid. This might explain the raid, as well as reporting from numerous outlets that suggested a connection with Manafort’s testimony to Congress. Manafort had materials that were timely, useful for the day before and day after, but which he might (rightly?) claim attorney-client privilege over were Mueller to subpoena them. Did staffers see something sketchy on July 25 and alert Mueller? I actually am somewhat interested if this raid was used to get Manafort’s notes used to testify to Congress. But given John Dowd’s panic in response — and all the reporting that he has consulted with Manafort’s lawyers — I’m really curious whether it is Dowd’s advice that Mueller was most interested in seeing. Update: Just so it’s here, I wanted to show what happened with Manafort’s testimony on Tuesday, July 25. He had been asked to testify at a hearing that kept getting rescheduled (as much because of Fusion GPS CEO Glenn Simpson’s reluctance to testify as Manafort’s). On Monday, July 24 (“last night” in a July 25 release), Grassley and Feinstein issued a subpoena for Manafort in particular complaining that Manafort wanted to appear before just one committee. While we were willing to accommodate Mr. Manafort’s request to cooperate with the committee’s investigation without appearing at Wednesday’s hearing, we were unable to reach an agreement for a voluntary transcribed interview with the Judiciary Committee. Mr. Manafort, through his attorney, said that he would be willing to provide only a single transcribed interview to Congress, which would not be available to the Judiciary Committee members or staff. While the Judiciary Committee was willing to cooperate on equal terms with any other committee to accommodate Mr. Manafort’s request, ultimately that was not possible. Therefore, yesterday evening, a subpoena was issued to compel Mr. Manafort’s participation in Wednesday’s hearing. 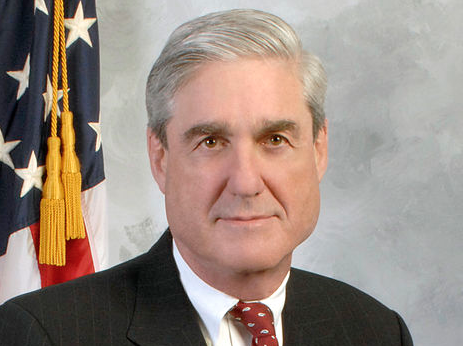 As with other witnesses, we may be willing to excuse him from Wednesday’s hearing if he would be willing to agree to production of documents and a transcribed interview, with the understanding that the interview would not constitute a waiver of his rights or prejudice the committee’s right to compel his testimony in the future. Later on Tuesday, Grassley and Feinstein announced that Manafort would cooperate, and started turning over documents. Faced with issuance of a subpoena, we are happy that Mr. Manafort has started producing documents to the Committee and we have agreed to continue negotiating over a transcribed interview. It’s important that he and other witnesses continue to work with this committee as it fulfills its oversight responsibility. Our investigation is still in its early stages, and we will continue to seek information from witnesses as necessary. As we’ve said before, we intend to get the answers that we need, one way or the other. Cooperation from witnesses is always the preferred route, but this agreement does not prejudice the committee’s right to compel his testimony in the future. This is the reluctant, last minute “cooperation” that Dowd is now pointing to as basis for his claim that Mueller could have gotten Manafort’s cooperation via other means. However, Dowd did also tip his hand by his questioning the validity of the warrant which tells me that he will try to get all of the goodies found by the Feebs in this raid tossed out. For what it is worth, there is still enough already in the record to hang Manafort (i.e. the disclosure forms and the Ukrainian account books), but the suppression would go a long way toward protecting Trump and his minions (Hi, JeffBo and Jared) who would most certainly have been mentioned in the notes. Dowd would question the warrant just on advocacy grounds (he’s gotta try to help his client) so perhaps I’m reading too much into it. Is Dowd’s communication on behalf of his client to other clients’ lawyers somehow privileged (even under the “executive privilege” standard? I wouldn’t normally think so, but watching JeffBo tap dance around that very point in his hearings regarding Comey’s dismissal makes me wonder if that play wouldn’t be tried as well. That concept might make the Manafort counsel’s notes subject to executive privilege protection in the view of Caesar Disgustus and his minions. Otherwise, I would think Manafort’s lawyer discussing his client’s situation with another party pierces the attorney-client privilege wall. This is where a real lawyer should tap in to help us make sense of this. Would be interesting to see how such a challenge would hold up if the raid was predicated on evidence of non-compliance of a prior SC subpoena. The Attorney-NonClient privilege argument seems about as slippery as Sessions’ preemptive executive privilege argument during testimony. I trust Mueller would not be as quiescent as committee Democrats if Dowd tries it in court. Well, Dowd isn’t going to get diddly squat “tossed out” from this search warrant execution, he and his client have no standing to even try. Only Manafort does. Challenging the search warrant’s validity and challenging the range of items taken pursuant to it as being outside its valid scope – and, therefore excludable – would be routine items on any defense lawyer’s to do list. A defense lawyer attempting dialogue with the prosecutor would also be routine. It’s as unlikely to reduce his client’s risk in this case as it is that Trump would dial back and try diplomacy – with an unstaffed State Dept no less – when he can instead bloviate about the size of his weapon. But coordinating with other witnesses’ lawyers? Love the 9 minutes of Trump twitter silence. Hoping Rayne is onto something. Aside from current no knock search warrant served on Manafort’s home, I’m wondering why a “voluntary transcribed interview” was a no-go for Manafort in the lead up to this raid. Does voluntary mean the person is not under oath? Or do lies to Congress, even in voluntary, transcribed interviews, put one in legal jeopardy? Is it a question of friendly (Senate Intelligence Committee) and unfriendly (Senate Judiciary) venue? Manafort testified in front of the Senate Intelligence Committee. Were their questions pre-submitted and Manafort’s answers prepared ahead of time with areas of legal jeopardy assiduously avoided? Are the Senate Judiciary Committee’s questions pre-submitted and too probing? or kept close to the chest until interview day and therefore too risky to agree to on Manafort’s part? As bmaz has noted correctly, Dowd is Trump’s lawyer, not Manafort’s. So while I’m sure he can file amicus briefs all day, Trump (and his minions) still have no standing in this raid, unless… they cite executive privilege in a “Hail Mary” play. Even that falls apart because IIRC Manafort has never been part of the executive branch in any capacity, he was launched out of the campaign and never brought back in. If Caesar Disgustus pardons Manafort now, he sings. He may already be singing or will be shortly. The National Enquirer hatchet job should make it clear to him that C.D. thinks Paulie M is expendable. OTOH, since Paulie M is (allegedly) tied in very closely with the Russians on many (allegedly) dirty deals, perhaps Putin will solve Caesar’s problem for him (i.e. kompromat or exile). The report today of Mueller’s foreign bank record subpoena makes me wonder what Putin’s exposure is to Manafort’s information. ICYMI, here’s why Manafort got hammered by the Enquirer: he alerted the authorities to the June 9 meeting. Otherwise it makes no sense to alienate the guy with potentially the keys to the kingdom. Heck, even Pat Robertson has joined the RWNJ chorus (see Crooks and Liars) complaining about the raid. Maybe he has another book deal. However, Caesar still has time to take potshots at McConnell for not getting the repeal done, and since McConnell has been a reliable ally in the Senate I do not see this twitter fight as productive. I also saw the poll where 52% of the GOP voters would delay the 2020 election if Caesar Disgustus wanted it. We have held elections during wars even on our own soil, and these snowflakes can’t let the voter fraud myth go. Suppression (see the IN case on TPM), gerrymandering and vote flipping are all GOP tactics that have given them wins. They cheat. I don’t understand how Manafort was the leaker of the Russian lawyer meeting. What was his purpose? why the NYT? did he tell the authorities first? Don’t mention RICO. That is a dead giveaway of silliness. OT: The alleged DNC hack that wasn’t a hack. Even Binney agrees. This is what I have always said. It was local dump to USB key. Points to Awan. Time stamps in the metadata provide further evidence of what happened on July 5. The stamps recording the download indicate that it occurred in the Eastern Daylight Time Zone at approximately 6:45 pm. The interesting point is that it is believed that two separate DNC leaks occurred. The second to taint the first, and blame Russian hackers. Yeah, I’m sort of forced to write it up. But the conclusions Binney et al draw are not dictated by the evidence. Nor was the allleged NSA report that Reality Winner allegedly leaked. From the link. [There are lots of folks that do not want to believe the VIPS report. But that does not mean it is incorrect. “high confidence” is also valid. Relaying ‘material’ Russian IC ‘acquired’ does *NOT* mean that Russian IC actually carried out a hack remotely via the internet. An insider (example Awan) could have dumped to USB key, and then via another person, it got to Russian IC, and then it was sent to WL (also no proof). The point is, just because things are “not conclusive’ one should not automatically jump to the contrapositive, which will be equally “not conclusive”. “High confidence” is not evidence, and ‘not conclusive’ does not imply lack of evidence either. The largest amount of evidence that Trump/oligarch/Wikileaks actors hacked the DNC is provided by the Trump/oligarch/Wikileaks narratives denying their involvement. That doubles for the Awan family. Here is just a quick link. Anyone on this propaganda bandwagon or conversely shading it, your name and number is being taken down somewhere. I am not sure which is worse. Trump used the hacks/leaks/phishes and probably some that have not totally surfaced as well. Trump is part of the swamp, the sooner drained the better. This is getting in pretty deep to Fifth Amendment territory. As of 1993, there wasn’t unanimity on how much protection papers got. I don’t know how much subsequent intrusion into Boyd has occurred, but–given the membership of the Supreme Court– I would think Mueller would be cautious about testing those limits. i am sympathetic to the notion that trump uses tweets as calculated distractions to draw media attention away from coverage of events unfavorable to himself and toward events politically favorable to himself. i also believe that trump tweets a lot when he is anxious because he is feeling both threatened and powerless to deal directly with that threat(s). trumps achilles heal is that he has not recruited and developed a cadre of truely loyal and well-disciplined whitehouse staff that he can trust; his people management skills are incompetent/attrocious. how to calm our jumpin’ jackass of a prez? note how amiable, conversational, accommodating (and intriguing to the reporters present) the prez appeared to be. note how amiable he was about legal matters impinging on him – say what? all you got to do the work with trump is to have overwhelming force and let him know it, then he’ll begin to purr. Earlier in the day, questions began to be posted to Google’s internal message boards that were to be included in today’s planned meeting. “Can we get an update on progress toward identifying leakers?” one employee posted, saying multiple Googlers had their team pages leaked to alt-right sites, resulting in a death threat in one instance. Timestamps. They disagree with a sophiisticated RAT tool, and the bandwidth estimates also disagree. Even if you assume really good net (fibre/cable), the remote hacker would have to be really close even with a multi-channel RAT. And with at least a few routers minimum involved, you are probably looking at 8-12 mBps (Bytes/sec) max. And that would be typical for a user download, but a remote hacker will not get that rate for exfiltration purposes. Exfiltration speed is what the user upload speed would typically be, and ISPs rarely give the end user the same upload bandwidth as download bandwidth. It is intentionally limited. Maybe DNC has fibre net, and great upload bandwidth, but the computer involved probably only had a 100mps NIC with cat5 eth to their local router. Bottom line: The numbers point to USB. Note: This is not to imply that Russia was not involved. Just that it was not a remote hack. And what if you exfiltrated to one computer via the means of your choice and then you did a dump via USB? And who is forMike anyway? Trust no one. Binney and Drake whistleblowed on what, a billion dollar money laundering operation? Call it 10 billion. Meanwhile US debt has jacked up another 10 trillion, the oligarchs have offshored at least 10 trillion, and the forever wars continue. The TLAs have participated and jammed up whistleblowers. Why expect help from those waiting for their pension checks or consulting jobs?